Our range of products include small jute pouch bags, velvet embroidery potli bag, raw silk drawstring potli bag, silk pouch bags, printed pouch bag and ladies hand bags. 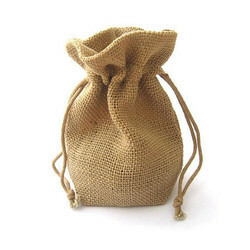 Being customers based firm, we offer wide assortment of Small Jute Pouch Bags. Our products are available in different color combinations. 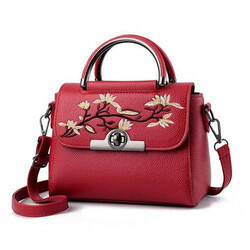 Customers like our products for their various designs and best quality. We provide products to our patrons as per the international industry standards. Counted as one of the prominent manufacturers and suppliers, we are involved in offering a wide range of Velvet Embroidery Potli Bag. 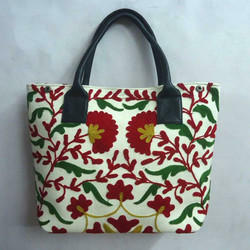 These bags are made using first grade raw materials and using best available technologies. Designed as per latest market trend, these Pouch Bags are available in various styles, designs, finish and color combinations. 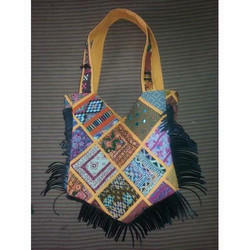 Besides, one can avail these Pouch Bags in both standard as well as customized designs and colors. 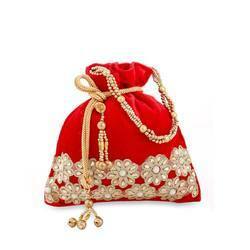 We have wide range of Raw Silk Drawstring Potli Bag. 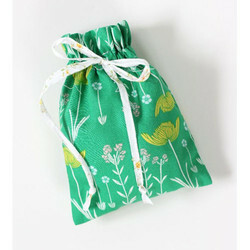 These pouches are available in attractive colours and shape. We offer them in great finishing and eye-catching designs. 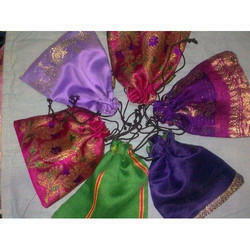 Available with us is a premium range of Silk Pouch Bags, that is designed as per the prevalent fashion trends. 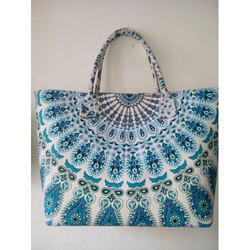 Having high storage capacity, these bags are available in appealing designs in medium and large sizes. These pouch bags are comfortable and are manufactured using premium grade of zips, velcro and other raw material. 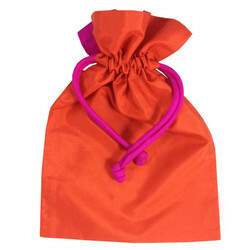 Available in customized variants, these pouch bags are offered at industry leading prices. Our customers can avail from us a wide variety of Printed Pouch Bag which are made from quality raw material that imparts durability and strength to the pouches. The range are offered by us in multi-colored prints. We can customize these pouches to suit the exact requirements of the customers.